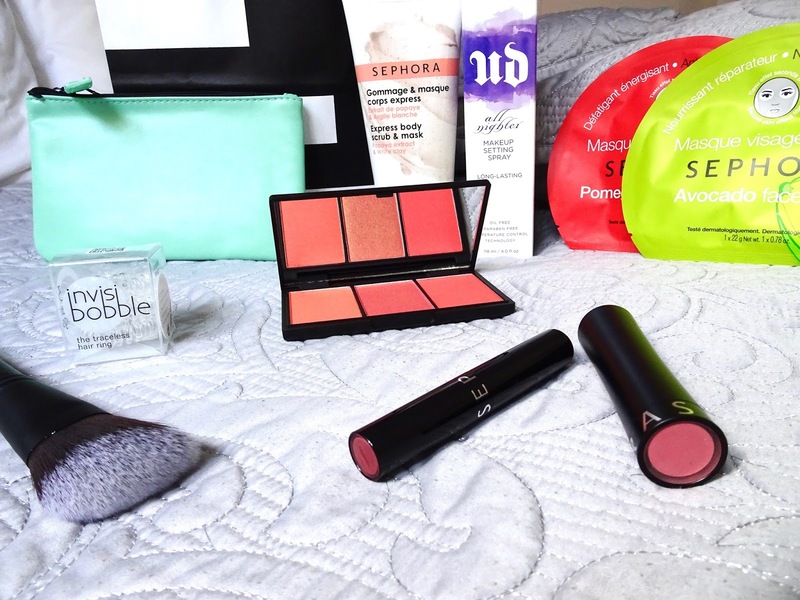 Amongst the British beauty blogging community, Sephora is arguably the most well-loved shop that we can only find abroad, and I had accumulated quite a list of things I wanted to check out, from a range of other posts and vlogs. Just a few days before we went away, I ran out of the Urban Decay All Nighter Setting Spray, and I was desperate to replace it as soon as possible. I’ve mentioned this setting spray in a beauty favourites post before, and my love for this product is still going strong, especially now that the weather is warmer and my makeup more likely to want to run off my face. 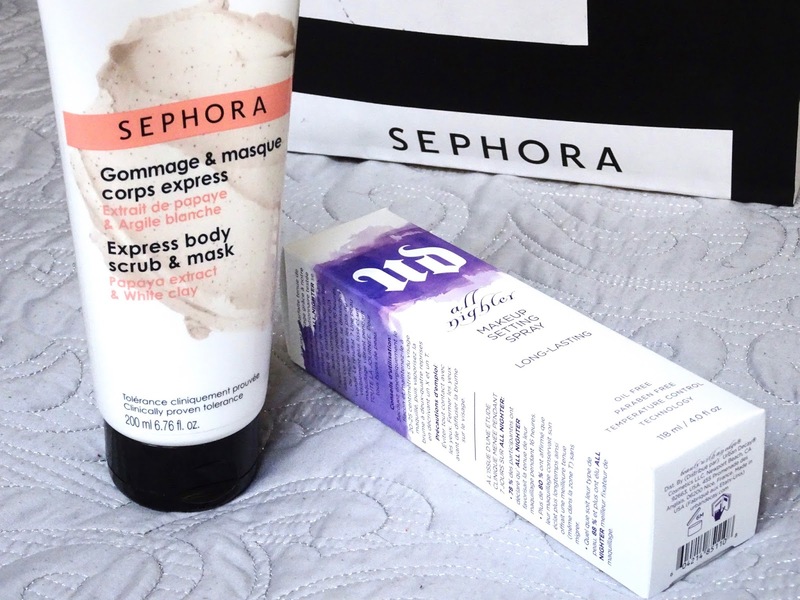 I had also completely run out of the Soap & Glory body scrub I had been using, so I decided to try out Sephora’s own Express Body Scrub & Mask. This product consists of papaya extract and white clay and can be used as both a scrub and a one-minute mask. 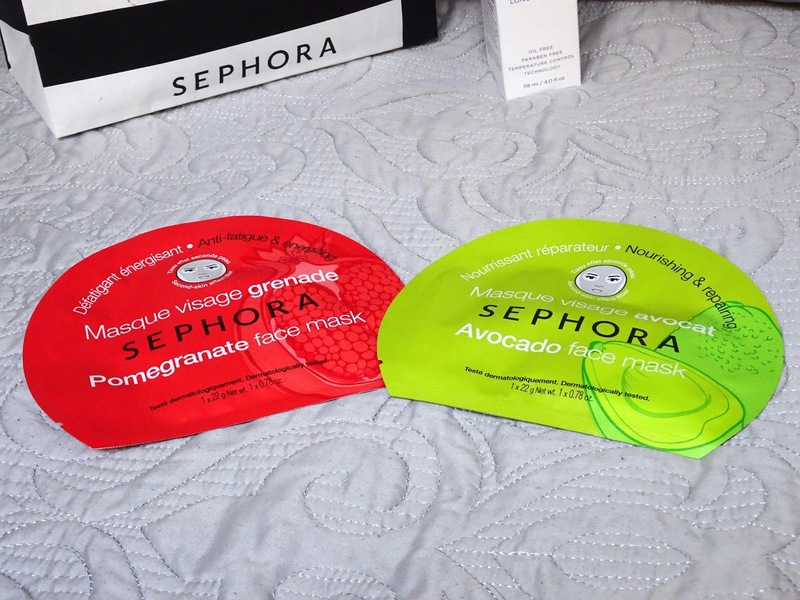 Having heard so much about them, I couldn’t leave Sephora without picking up a couple of their face masks. It was a tough decision because there were so many, but I opted for the Pomegranate (for anti-fatigue & energising) and the Avocado (for nourishing & repairing). I’ve never tried sheet face masks before so I’m really excited to give these a go. 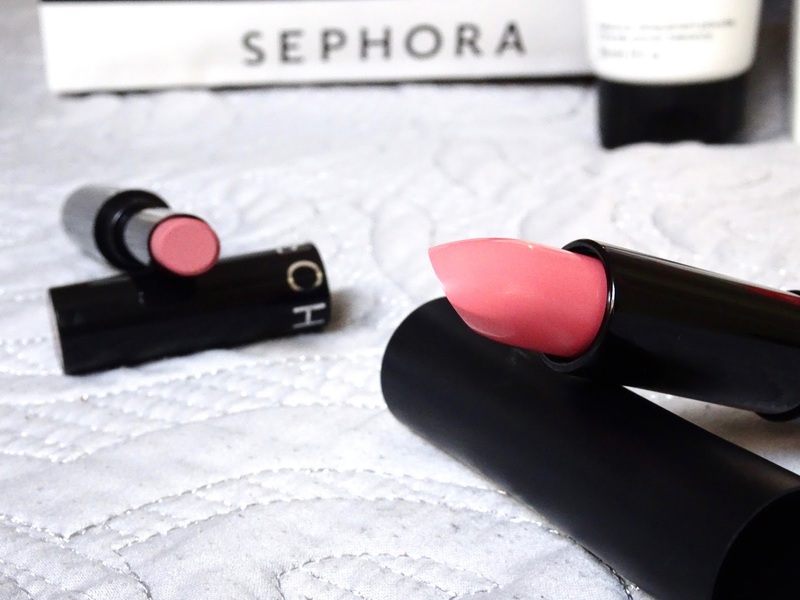 As I’d never tried any of Sephora’s own brand products before, I also wanted to try out some of their lip colours. Nine times out of ten I will reach for a matte lipstick over any other formula, so first I picked out the Color Lip Last (Matte Finish) in the shade Blooming Rose. I’ve worn this a few times since, and have been so impressed. I might even go as far as saying it lasts longer than my MAC favourites. Maybe. On reflection I wish I’d picked up another shade of the Color Lip Last, but instead I went for the Rouge Cream Lipstick in the shade Little Treat. Although I like the formula more than I thought I would, the colour is much more of a baby pink, which doesn’t seem to work well with my skin tone and kind of reminds me of that foundation lips trend circa 2007. On a complete whim, I bought this Sleek Makeup Blush By 3 Palette in Lace, and I’ve pretty much used it every day since. 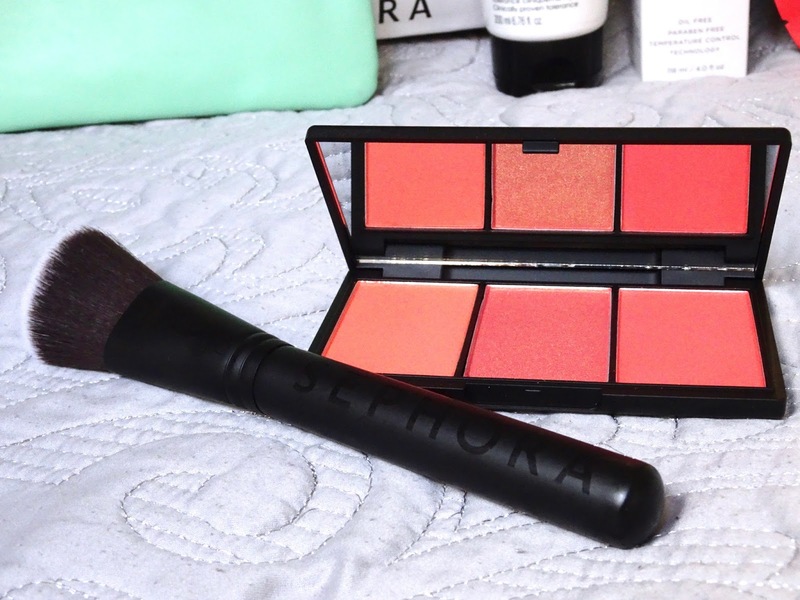 I had been looking for a more orange-toned blush for a while, and the first shade is exactly that. I wasn’t expecting to use the middle shade all that much as it looked a bit shimmery, but it’s ended up being my favourite of the three, acting as a blush and highlight in one product. 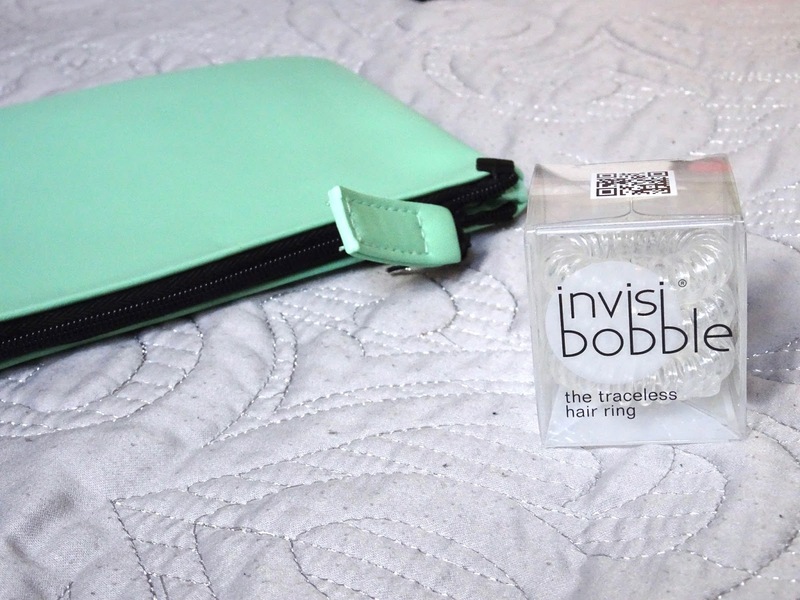 Finally, I picked up some Invisibobbles, which (not to be dramatic) have already changed my life, and this little cosmetics pouch for keeping those essential items neatly in my handbag or work bag. You never know when you will need a bit of emergency concealer or mascara. My first trip to Sephora was definitely a success, and I have a feeling this is going to become a dangerous routine every time I travel abroad.